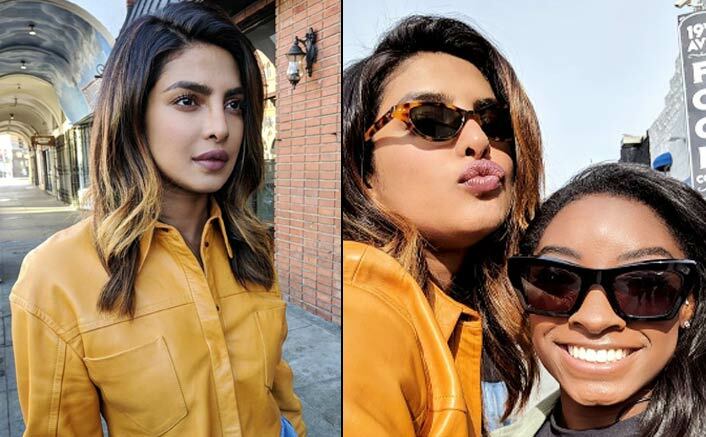 Los Angeles, Jan 19 (IANS) Actress Priyanka Chopra on Saturday announced US Olympic gold medallist gymnast Simone Biles will be the first guest on her upcoming YouTube Originals Special “If I Could Tell You Just One Thing”. Priyanka took to Instagram story to share the insights of the show among her fans. She said throughout the show, she will talk to the incredible people whom she admires. She will ask them to tell her one thing which made them what they are today. Despite achieving the tile of global icon in life, the “Quantico” star said she is still on learning mode. “I realised that it’s my curiosity in others that has led me to grow into who I am today. So I decided to feed my curiosity by starting a journey where I will meet some extraordinary people. “I am a lifelong learner and I am always seeking inspiration. Help me navigate my way through this journey as I ask my peers, role models, and friends — just one thing,” added Priyanka. “Biles is an amazing guest. I really admire the young girl . She is not only World Champion athlete but also the multiple times Olympic medal winner . “What I admire the most about her is resilience and ability to bounce back from anything,” added Priyanka along with the photograph of herself with Biles.